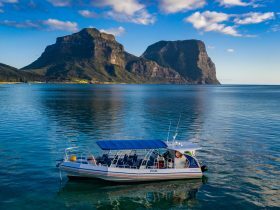 More than a tour, Chase ‘n’ Thyme is a journey through Lord Howe Island, from early settlement to the present day and all the wonderful things in between. 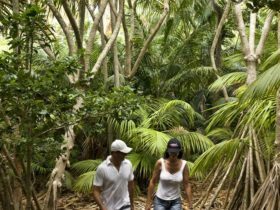 Come with your hosts Janine and Peter on an entertaining and informal tour of the island’s more interesting nooks and crannies! You will learn more in three and a half hours with them than you would if you spent a week searching things out for yourself. 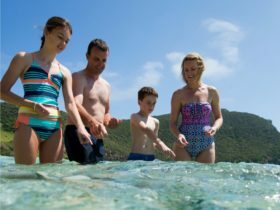 There is a lot more to this small island out in the South Pacific than first meets the eye, and the knowledge you gain will ensure that you have a way better holiday ! 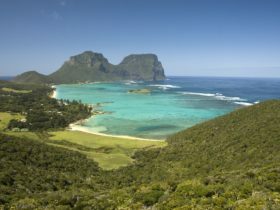 A great introduction on what, where and how to do Lord Howe! 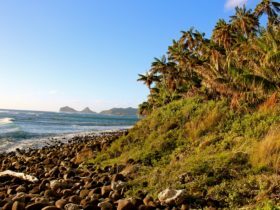 They will point out many of the island’s ever changing sea and land birds – the island’s rare bird, the endemic Woodhen, and Kentia Palm. What are the best walks? Where do you get the best photos? 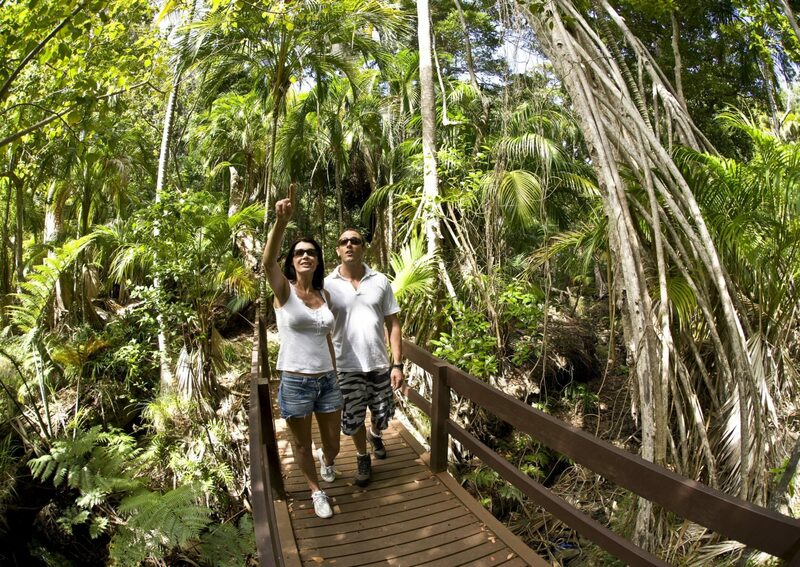 Includes visits to the local school, Government house, the hospital and the Catalina monument! 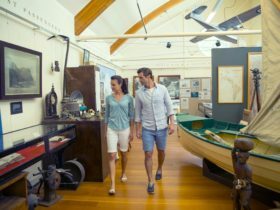 Learn all about the islander’s social history, early settlement, predators and pests, flora and fauna, ships, flying boats and the airstrip, island tales and even buried treasure! 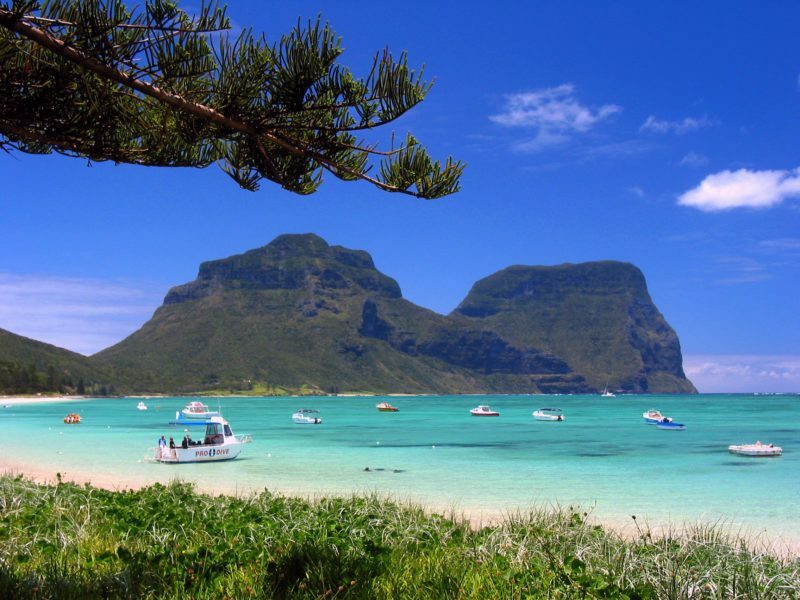 Postcard, coffee, tea and muffin at their secluded Ned’s Beach home is included with this tour.